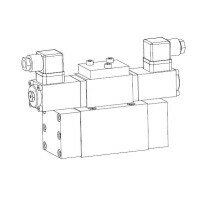 Pilot controlled spool valve, in five chamber design actuated by a Wandfluh proportional solenoid (VDE standard 0580). Wet solenoid in oil. 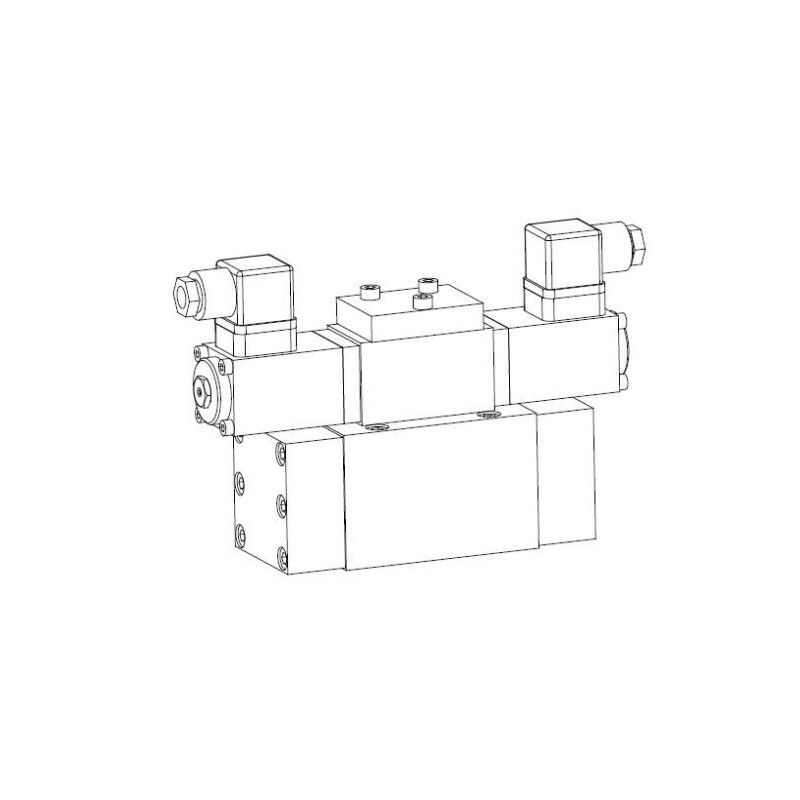 Spool with precisely machined notches on control edges produce a progressive volume flow characteristic similar to proportional flow valves. The valve body, the covers and the solenoids are zinc coated.